Dimensions: 160 X 200 cm - 180 X 200 cm. 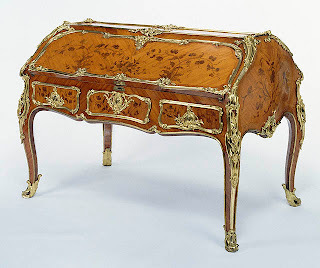 Original: Private antique furniture collection, French manor. 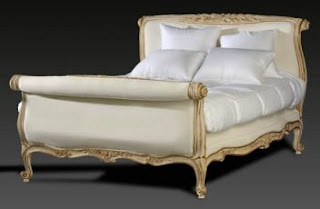 The upright nature of the headboards of this Louis XV Bed guarantees a definitive period of style in this feautiful beds creation. One should particularly notice the sturdy contours associated with the deep moulding and beautifully carved floral and plant trim. Top of head- and footboards have ornamentation of a difference and exceptional quality presenting hunting motifs (quivers, game bags, guns, etc). 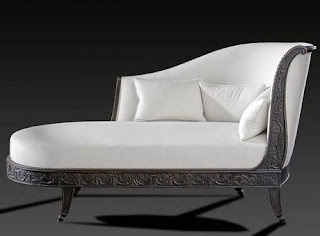 Perhaps this louis XV bed was intended for a hunting lodge.